Welcome to Talkeetna, Alaska! 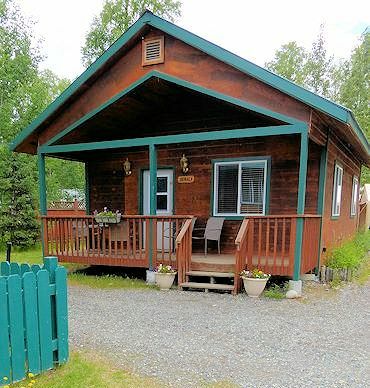 Chinook Wind Cabins provides private lodging accommodations that are ideally situated for anyone seeking a quality experience in Talkeetna, whether on vacation or a weekend getaway. Open year-round, we offer a total of six cabins - each with private bath. We cater specifically to families and independent travelers. 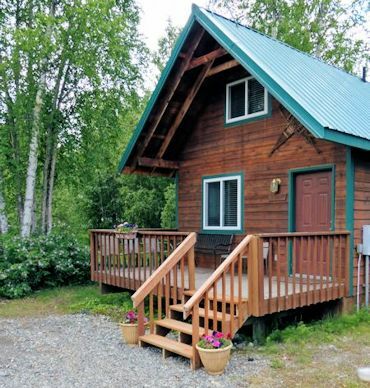 Home to climbers, Talkeetna visitors can experience our south-side Denali community full of area attractions and activities that meet anyone's expectations. 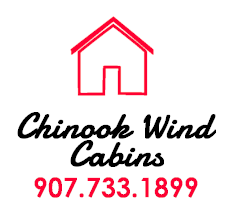 Chinook Wind Cabins are owned and operated by James Stevens Jr and Jane Steere. Ours is a family run business in the center of Talkeetna, Alaska. The area has some of the most exciting real estate on earth. Great panoramic views of the Talkeetna Mountain range, the Alaska Range (which include Denali, the highest mountain in North America) are yours for viewing. The area flows with pristine rivers and creeks, providing some of the best sports fishing found anywhere. All five species of the Pacific Salmon are found in the rivers around Talkeetna. Early spring and late fall fishing offers spectacular rainbow trout, arctic grayling, and Dolly Varden fishing. 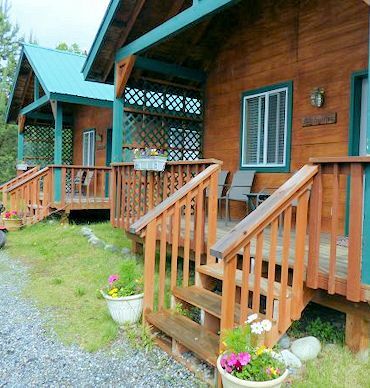 Chinook Winds Cabins are located within walking distance of downtown Talkeetna's restaurants, gift shops and tour operators. 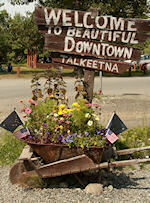 Check our our links to Talkeetna's best activities.